Stan and Carrie Adams opened Stonekeepers as a family to share their love of minerals, crystals and gemstones with the local community. Photo by Noel Heath. Just off the city square nestled between a tattoo parlor and a head shop coincidentally sits one of Murfreesboro’s most serene spaces. Inside, sunlight reflects off of transparent crystals and bright fabrics creating prisms of color around the space. Comforting blends of oils and the wax of candles are met inside accompanying warm, welcome greetings. In 1996, Ramona, Stan and Carrie Adams opened Stonekeepers as a family to share their love of minerals, crystals and gemstones with the local community. Eighteen years later, the store has evolved into an oasis of spiritual living and a community space for all to find empowerment and harmony. Stonekeepers began in the Adams’ garage as many small businesses do — a hobby. Lapidary arts (the polishing, cutting and design with stones) had long been an interest of Stan Adams, one that his wife, Ramona, was able to share through her making of handmade jewelry with the finished stones. A deep appreciation for the aesthetics and the collection-worthy qualities of stones, gems and minerals led the Adams’ family to lease out a small space and sell their polished stones and Ramona’s handmade jewelry to a small customer base only on weekends. The neighboring bookstore of their first location was at the time one of the only reasons that Stonekeepers had regular customers. Their original clientele brought to light a higher calling the Adams’ hadn’t yet tapped into — the meaning behind their inventory. The Adams’ themselves were never necessarily spiritual. Carrie’s parents were raised in Baptist and Methodist denominations respectively, but she was raised nonreligious and learned through friends, television and school of other beliefs. Stonekeepers is a spiritual outlet for its customers and trying new tools for empowerment. Photo by Noel Heath. Over time, Stonekeepers added books to their inventory according to customers’ requests. At the time and even still today, it was difficult to find books, oils and herbs with religious or spiritual context in the Bible Belt of Middle Tennessee. Even more difficult was the Adams’ ability to turn a profit by selling only specialty stones. “It’s really hard to make a living selling rocks in Murfreesboro, Tenn.,” Carrie said with a smile. Two years ago, Carrie took over the daily operations of Stonekeepers officially. She stepped outside, both literally and theoretically, and attempted to look at the shop from an objective standpoint to see where there could be improvements. At the beginning of last year, Carrie sought to change that discomfort. Using the technique that worked for them when Stonekeepers first opened, she brought in books. But this time those books were representing a diverse blend of faith systems, beliefs and uses. While Carrie believes that everyone faces similar challenges in life, she attests to customers who walk through her door is the only one with the power to decide what is powerful to them and what will bring them peace. Carrie spends her time helping patrons realize where they place meaning and how that affects their perspective and actions based on that perspective. The service of helping other people outweighs any monetary needs she has for Stonekeepers. Giving is a huge portion of Stonekeepers business model, as seen through their Crystal Grid Project. They often give away gleaming stones and ask that customers bury them along with the negative experiences they feel at the time of coming in. With this project, their stones have been spread across the state, the nation and the world. In recent years, Carrie has introduced though Stonekeepers a multitude of events and gatherings that require spending little to no money at all. She wanted to host events that would bring people into the store and offer an open spiritual space to the community. 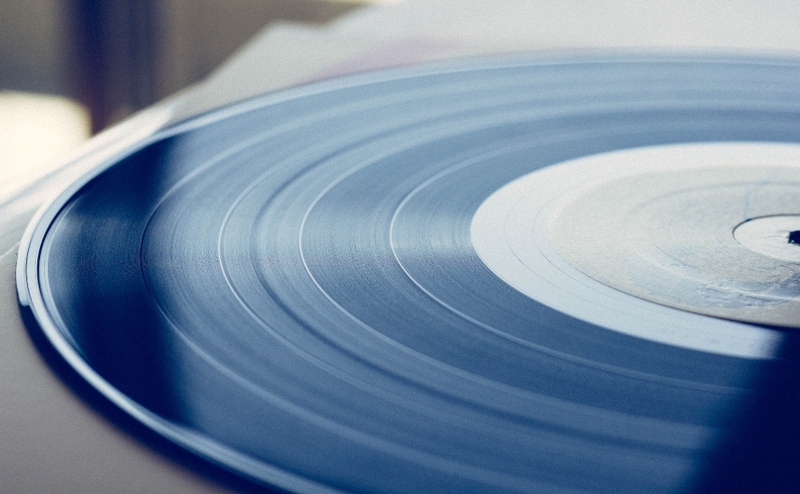 Knowing that people can easily feel spiritually isolated or intimidated by trying new tools for empowerment, she wanted to bring an opportunity for them to get together. Stonekeepers currently hosts a Meditation Club, Healing with Herbs & Plants, Energy Shares and Spiritual Empowerment groups and Rocktail Hour on Friday and Saturday nights from 6-8 p.m. They also have designated spaces, like the altar, to host various tools used for energetic purification. 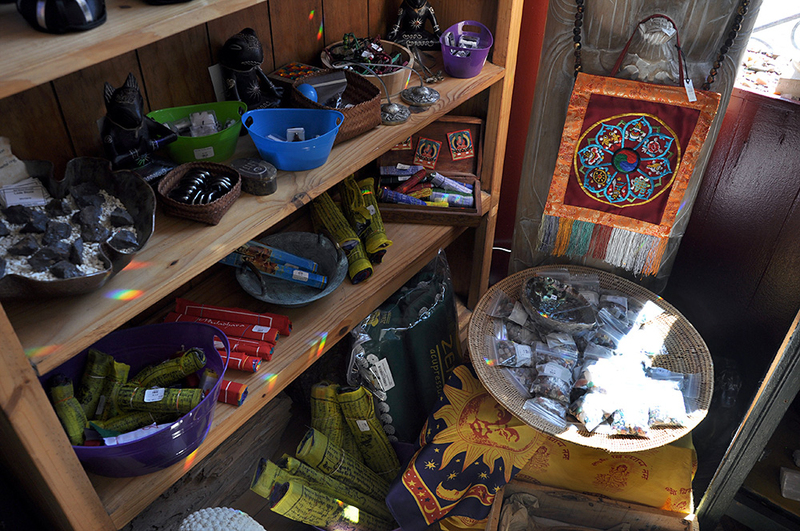 The store will continue to expand and evolve with time to provide a number of spiritual outlets. 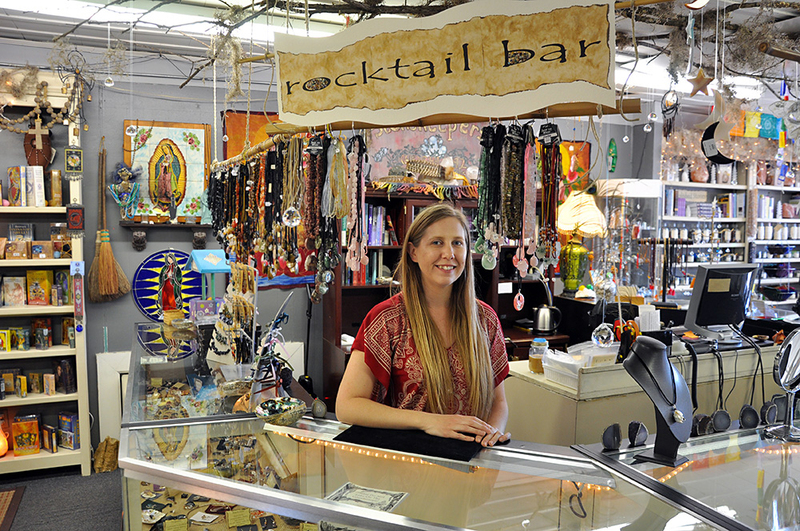 Eventually, Carrie wants to have a station where customers can create their own prayer beads using pendants and colored beads in colors and numbers that represent something to them. The idea is that they would make a spiritual tool start to finish with a unique intention. She plans to bring in anything and everything that can uplift and help customers let go of stress. During the government shutdown last year, Stonekeepers noticed a dip in profits that almost put them under. It was during those two weeks that Carrie and her employees developed their line of external healing oil and herb blends aptly called S.O.S or Sundries of Spirit. “I thought wouldn’t it have more intention if the people who work here, who already have such great intentions for our customers, could put those energies and intentions into a product,” she said. Instead of feeling helpless, they realized they could only affect their mindset and immediate environment. They poured their energy into S.O.S. line and have seen a spike in profits ever since. To contact the features editor, email features@mtsusidelines.com. Likes us on Facebook and follow us on Twitter and Instagram @mtsusidelines.